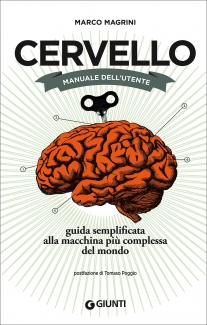 “We have a user’s manual for all the machines we possess, except for the most important one.” After having such an obvious illumination, Marco Magrini decided to write a book about the human brain, but treating it as if it were a manual for your washing machine or refrigerator. The metaphor is clearly evident in the book’s chapter titles, such as Installation, Operation, Control Panel, Expansions or End-of-life. A humorous tone, as in the comparison between the Model FTM (female) and Model MTM (male) brains, makes this a manual that everyone with a brain can enjoy. Marco Magrini, 59, journalist, writes about science and technology. He claims to be a descendant of Giovanni Villani, a chronicler in medieval Florence. After spending 24 years as a senior correspondent with the Italian business daily Il Sole-24 Ore, he now has a blog on the website for “L’Espresso”, while regularly contributing to “La Stampa” and to “Geographical”, London’s Royal Geographical Society magazine.